Yesterday Samsung unveiled their latest smartphone in their Galaxy range, the Samsung Galaxy S Advance, and now UK mobile operator Three has announced that the Galaxy S Advance will be headed to their network. They have also put together a hands on video of the Samsung Galaxy S Advance in action, and the video below gives us our first look at Samsung’s latest Android smartphone. As a reminder the Samsung Galaxy S Advance comes with a 4 inch WVGA Super AMOLED display with a resolution of 480 x 800 pixels, plus Android Gingerbread 2.3. 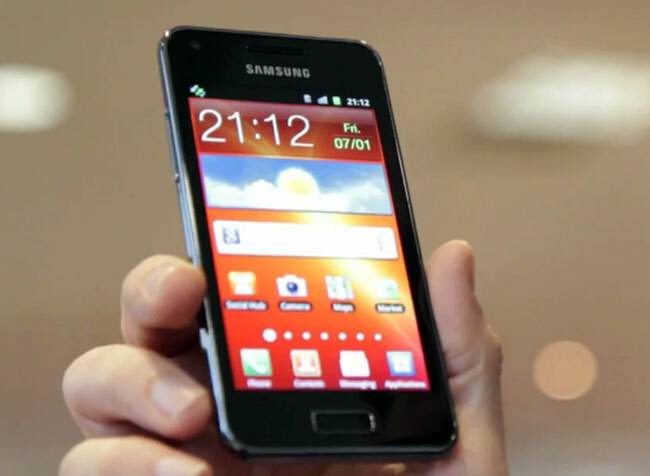 The Samsung Galaxy S Advance is powered by a dual core 1GHz processor, there is also 768MB of RAM, and a front facing 1.3 megapixel camera for video chat, on the back there is a 5 megapixel camera with auto-focus and an LED flash, the rear camera can record HD video in 720p at 30fps, plus a microSD card slot. The Galaxy S Advance will be available with a choice of either 8GB or 16GB of built in storage, and it will go on sale next month, there are no details on pricing as yet.